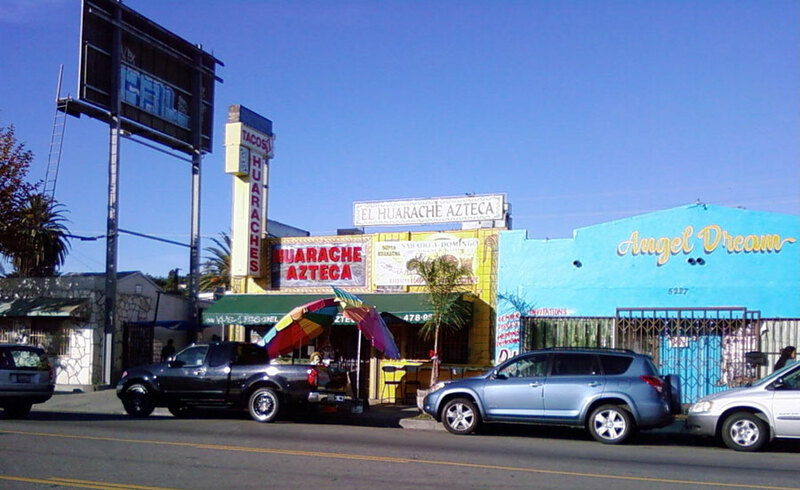 Damien, Ragen, Carmen and I went to El Huarache Azteca, near Ragen and Damien’s home and at their suggestion. They were right, it was delicious. 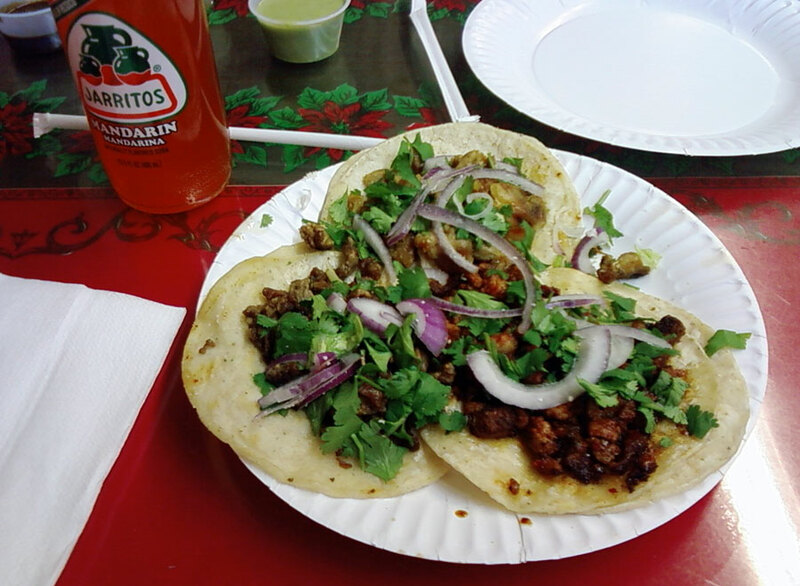 I had three tacos, one each of carne adobada (aka al pastor), carne asada, and chicken, along with a Jarritos Mandarina. The tacos are good sized, not quite as big as Sanchez’s. They are $1.50 each if you don’t get the combo special. All three were quite tasty. The al pastor is very savory, with smoky flavors, and has a pleasing contrast being chewy meat bits and crunchiness at the roasted edges. I had a green salsa from their salsa bar that had a good flavor. The carne asada was also excellent. I applied the red salsa, which has a roasted pepper flavor and is not immediately hot, but then has a long, slow afterburn, pretty good. I described this steak as having a buttery flavor, just as I had at Sanchez, and Carmen thought that this was an odd and fairly ridiculous description, but I’m going to stand by it for now. The chicken was also good, better than Sanchez, and in my opinion probably would make a very good burrito. It is dark meat and tastes marinated and grilly. The tortillas were great, thick and doubled up, with good toothiness, slightly but not so leathery as Sanchez. In lieu of diced onions there were long slivers of red onions, and this was a nice change of pace from the usual finely diced raw onions that can overpower a taco.